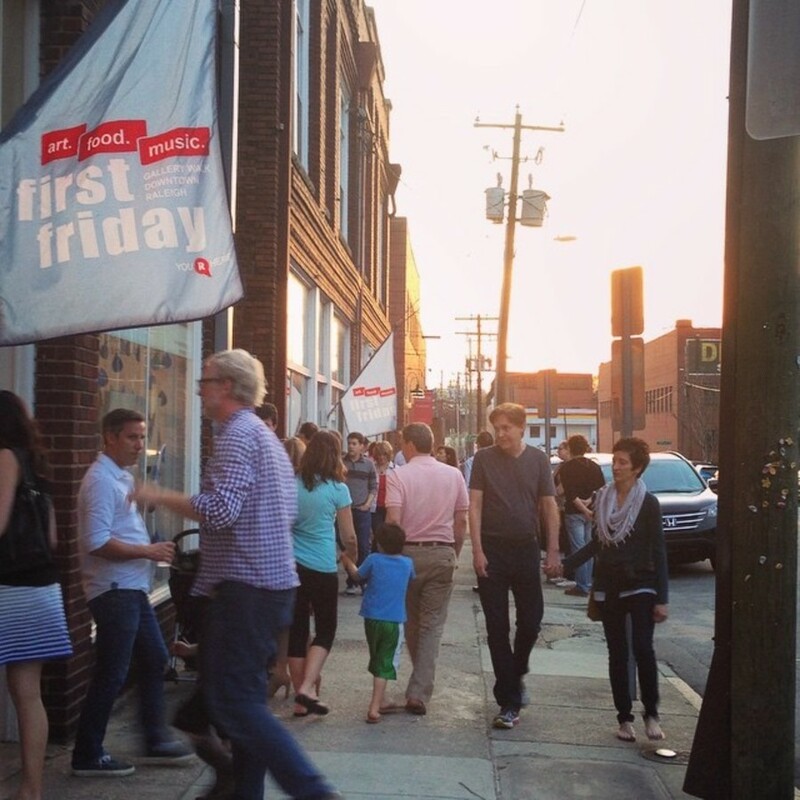 Spend your first Friday of April exploring local art galleries, art studios, alternative art venues, and museums! Participating locations stay open late the first Friday of every month to welcome thousands of art-seeking enthusiasts. In addition, many restaurants & bars offer specials… just look for the First Friday flags to easily locate participating locations. With spring knocking at the door, this awesome monthly event is back… Bands, Bites & Boats at Bond Park! Wahoo! Each month, the Bond Park Boathouse hosts musicians, food trucks, local breweries, and after-hour boat rentals. 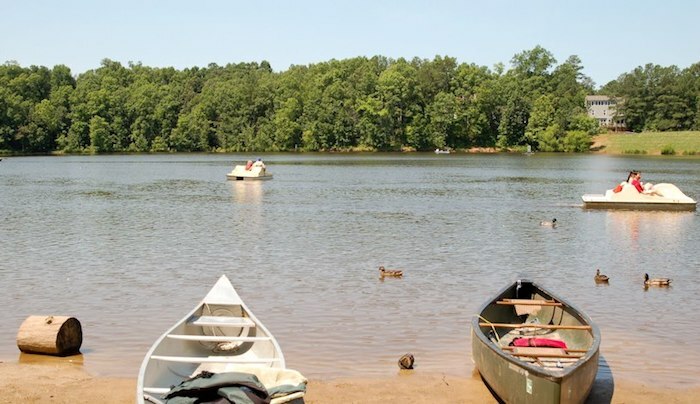 It’s the perfect date night location to enjoy music while floating on the lake or relaxing on a lawn chair. This Friday, enjoy music from Garrett Newton Band, food from Oak City Fish and Chips, and a cold beer from Brueprint. Learn more here! Kick off the opening of NCMA’s newest exhibit, You Are Here, this Saturday with the whole family! This pop up art will be a free hands-on art-making experience! Head to the museum to design and construct a contemporary light catcher that you can take home with you! Tickets are not required; Learn more here! Did you not get your fill of Easter Egg Hunts last weekend? Or were only little kids allowed to hunt for eggs? Then this Sunday afternoon at Dorothea Dix Park is for you! This will be a fun-filled afternoon for adults, ages 21+. 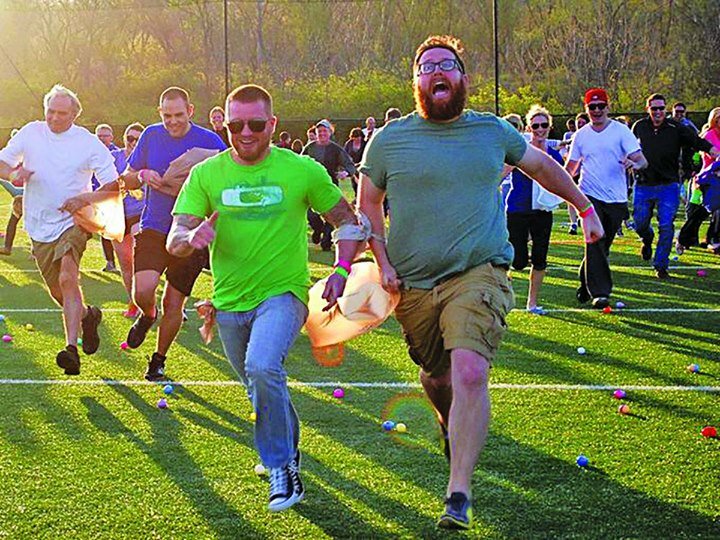 The Spring Fling will include an Egg Hunt with 10,000 eggs, inflatables (yes, for you! ), lawn games, beer, and food trucks! Truly, what more could you ask for? Register for this free event here!